Megamovie Mobile helps you take stunning photos of the August solar eclipse and share images and data with scientists. Excitement about the total solar eclipse of August 21, 2017 is growing across the country. 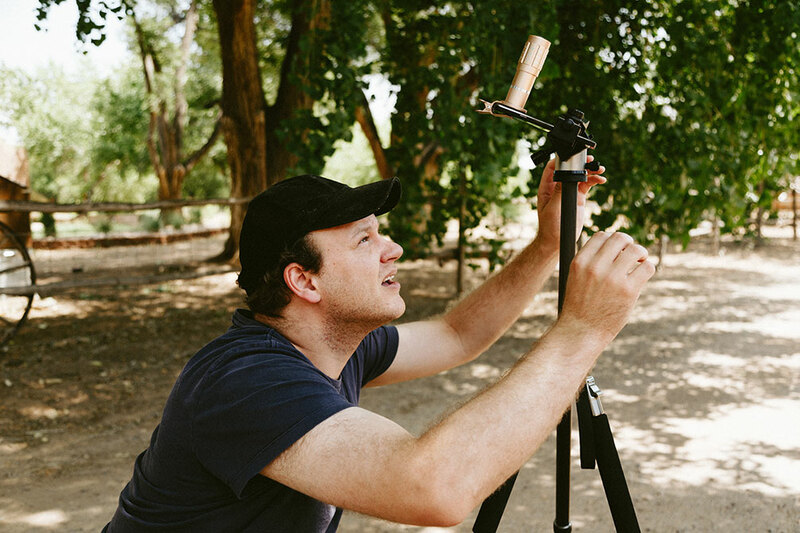 Developed by Ideum and the Space Sciences Laboratory at UC Berkeley, the innovative Eclipse Megamovie Mobile app helps you capture stunning photographs of this celestial event. It’s also the first astronomy-based citizen-science app of its kind: it lets you play an active role in studying the eclipse by sharing your photos and data with solar researchers. Megamovie Mobile has been featured in an ever-growing range of scientific and news media outlets, including Scientific American, Nature, Sky & Telescope, Popular Science, the Atlantic, the Wall Street Journal, and the New York Times. And the app is now fully functional and available free for both Android and iOS. Solar eclipses present unique ways to study key aspects of the sun and moon, which is why, as described in recent articles in Slate and Mother Jones, scientists join together to take advantage of the research opportunities they create. Megamovie Mobile makes you part of this scientific community. 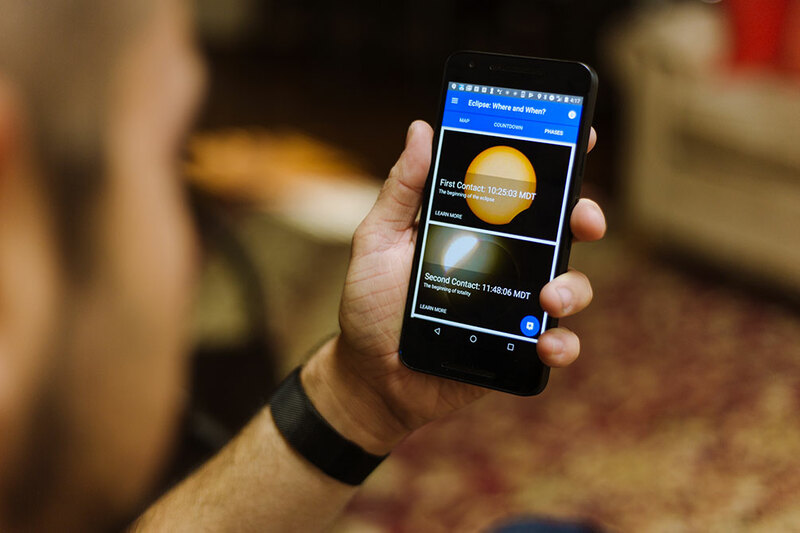 The app stands apart from other eclipse apps by harnessing the power of your smartphone’s built-in technology to turn it into a research-quality tool for studying the sun. It actually uses your phone’s GPS to calculate the moment totality begins at your location, and the compass, gyroscope, and accelerometer to precisely frame the eclipse in advance. When totality begins, the app takes control of your phone’s photo settings and automatically snaps a series of pictures to optimize exposure and avoid camera shake. Megamovie Mobile also captures key time, temperature, and other environmental data as you watch the eclipse. 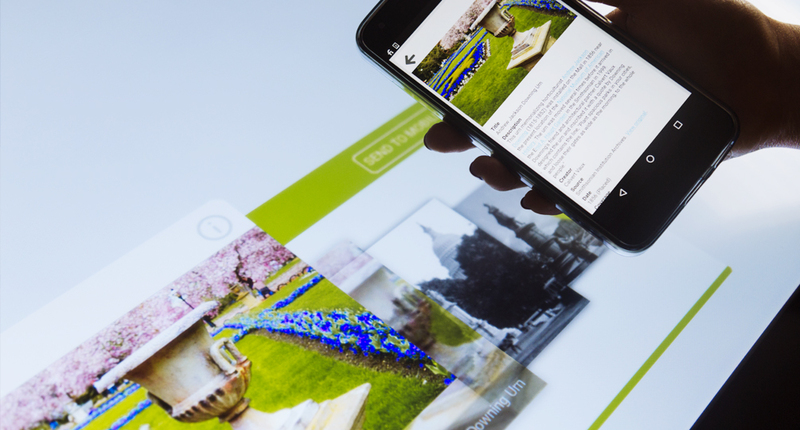 No other app combines these features in a fluid, intuitive smartphone interface. 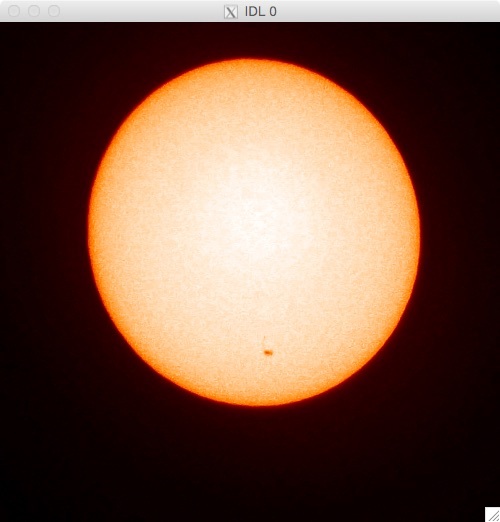 Capture a sunspot with your phone? This smartphone image shows the sharp detail possible with Megamovie Mobile, an external telephoto lens, and a tripod. 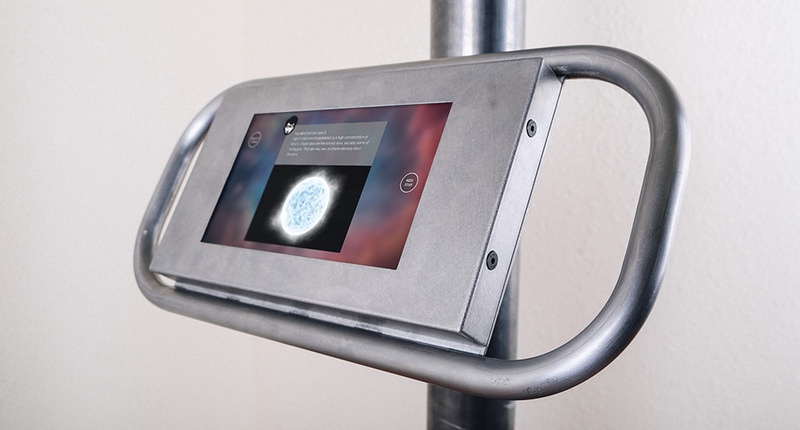 Megamovie Mobile guides you through setup with a tripod and external lens. The moments before the eclipse will be exciting—and hectic. So Megamovie Mobile is designed with a unique practice mode to help you get used to the setup procedure before the big day. 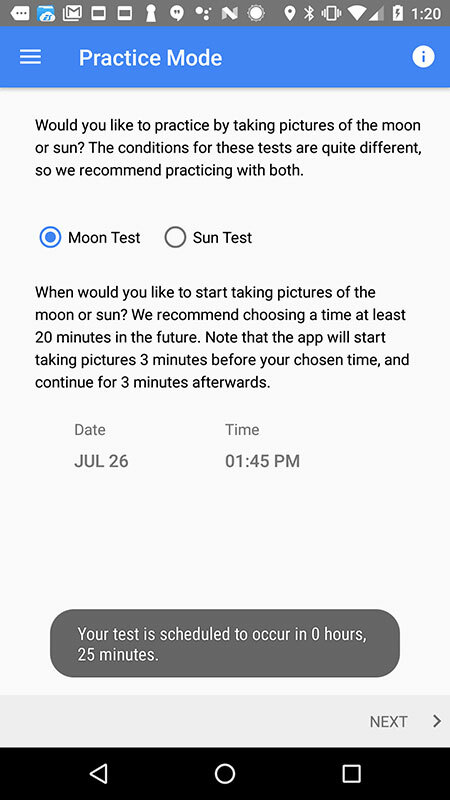 This feature lets you set the camera to take test shots of the moon or sun, check them for framing and clarity, and get used to the calibration process with time to spare. The app also includes a map showing your distance from the eclipse path, a countdown clock, and a flexible reminder mode. Built-in practice mode lets you take test photos in advance. 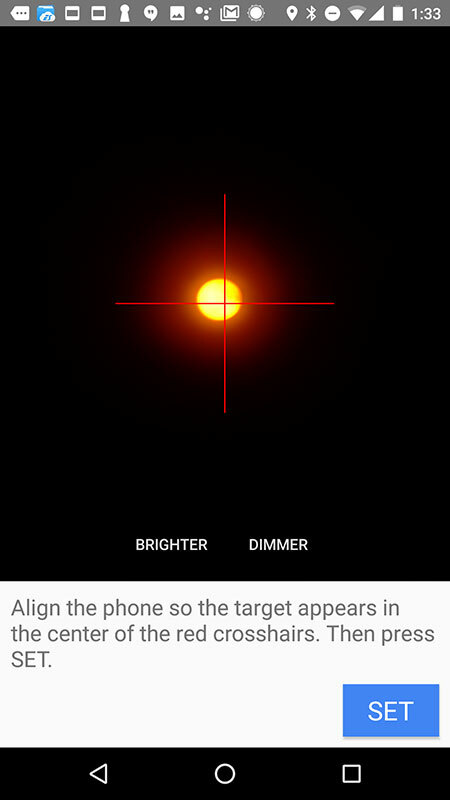 The app helps you calibrate focus and framing accurately. By combining powerful photographic tools with key astronomical information, Ideum's Eclipse Megamovie Mobile app adds a unique dimension to a once-in-a-lifetime event. Download it free at the Google Play Store or the App Store. 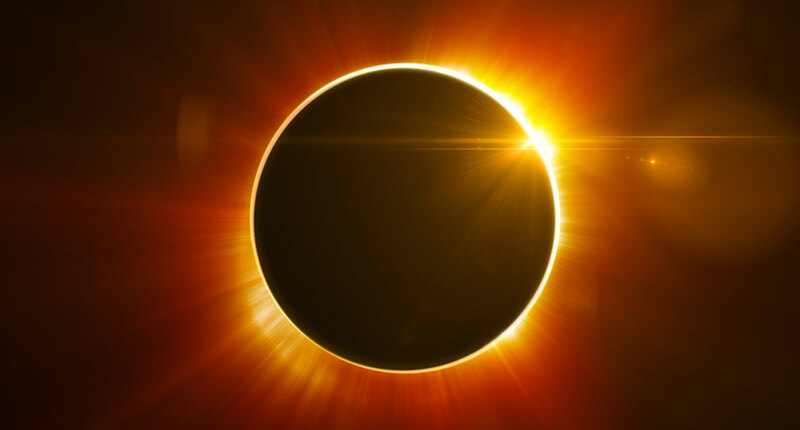 Megamovie Mobile provides detailed information about each phase of the eclipse. 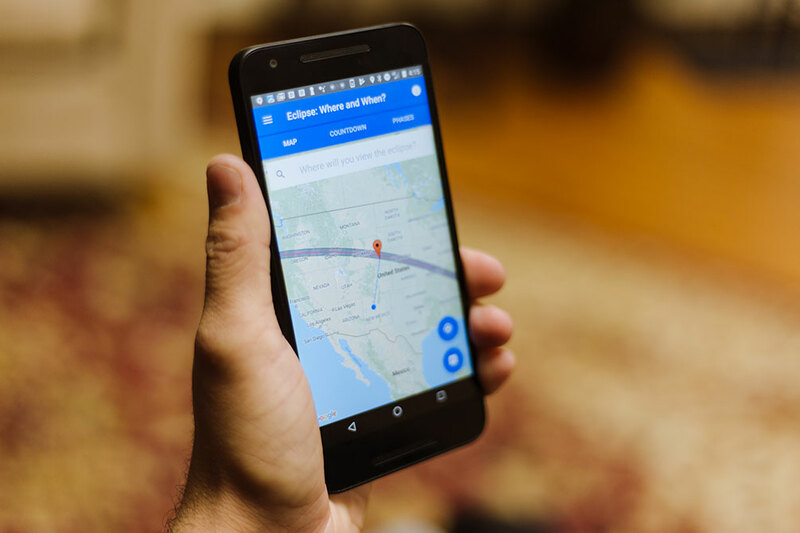 The app plots the path of totality across the US and your shortest route to it.